Qualifications: Certificate in Hypnotherapy and Counselling Skills. The basics of counselling and crisis intervention. 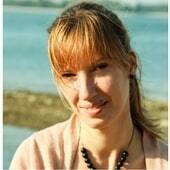 Anna is a psychologist and hypnotherapist with a background in bereavement, disabilities and chronic illnesses. She is able to help with the limiting beliefs that are holding you back from fulfilling your potential. Anna believes in the power of our imagination, where we dream and make plans which are the seeds to their realisation. In our imagination we create every element of our day and convert it to reality. In our imagination we can find our inner firewood, and we can warm our hearts and give love to this hurt and maybe neglected part of us. In our imagination we can aid the recovery process of our body as well as our emotions. Using a technique known as Parts Therapy Anna aims to help you to find the source and resolve your inner conflict, which is often sabotaging your life goals and stopping you from fulfilling or reaching your dreams. What is hypnotherapy? For some people it is a guided meditation or meditation with a goal, others would disagree. Anna believes that one thing is for sure – it has the power to change your life! Her passion and mission is to support you to achieve this change. Through the subconscious mind Anna believes you can achieve any change you want! We are all unique and that’s why Anna offers sessions tailored to your needs. She knows how important it is that the environment to achieve your change is safe and trustworthy. Relationships between the client and therapist are one of the most important elements in this process. Individual face to face session – £55 per 50 min. Skype session – £40 per 50 min. Regression Therapy session – £75 per up to 90 min.